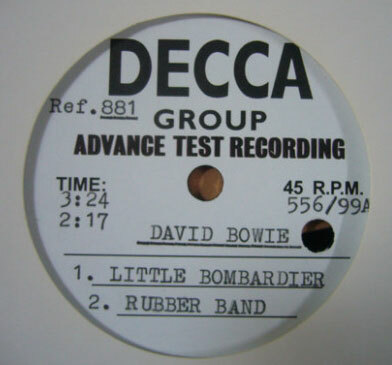 Little Bombardier / Rubber Band 10" metallic one-sided Decca acetate. 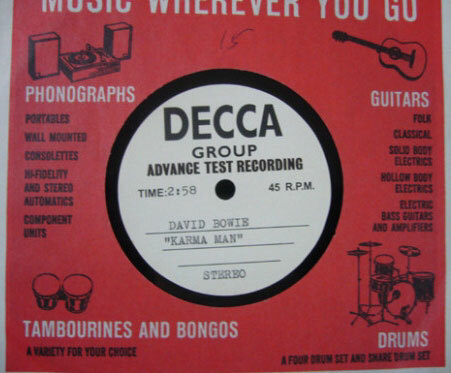 Karma Man 7" Decca acetate. 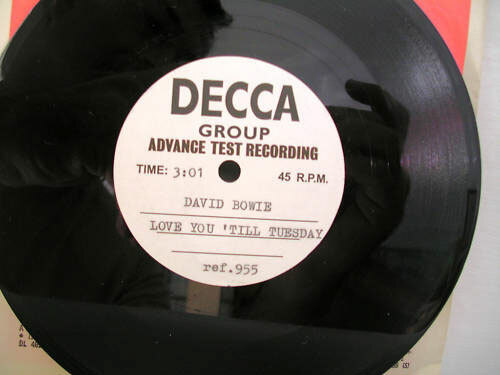 Love You 'Till Tuesday Decca acetate. 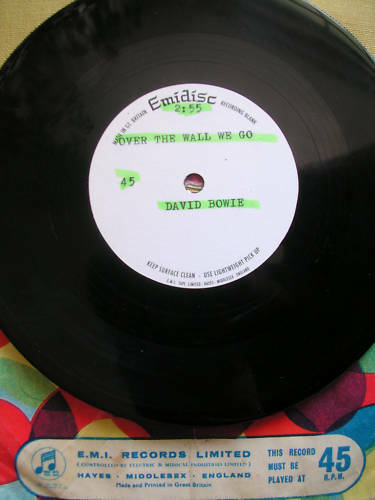 Over The Wall We Go EMI acetate. 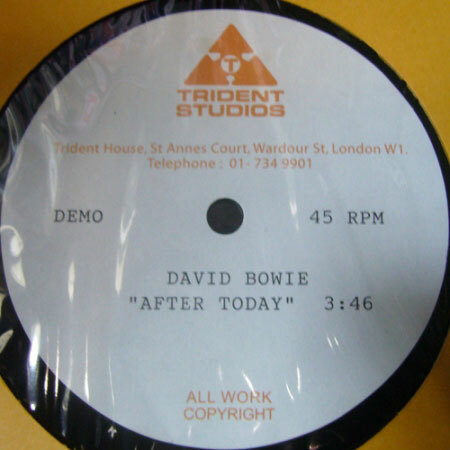 After Today Trident Studios acetate. 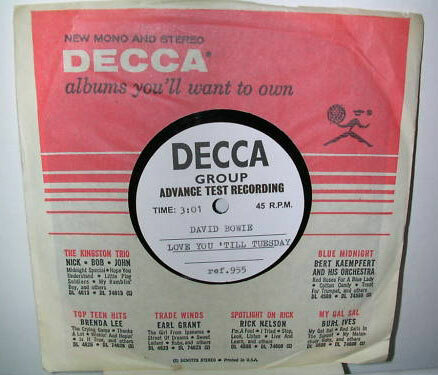 Several fake David Bowie acetates have appeared on eBay from sellers in ITALY. The obvious signs are wrong typefaces used on labels.